I've been waiting for you so long. Finally! 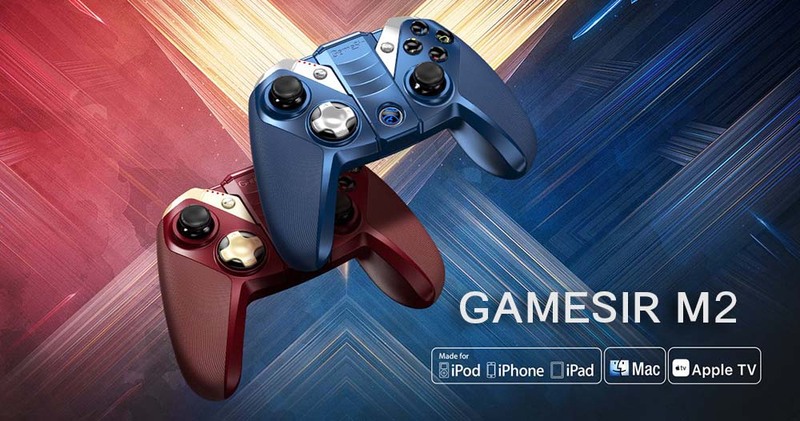 Introducing GameSir M2, the Apple-Certified MFi Bluetooth gaming controller that gives you the power to use your iPhone as a handheld game console. This gamepad is famous for its ergonomics design measuring at 155 mm width, 102 mm height, and 65.5 mm depth. This controller comes with rubber-coated textured handles to enhance the grip. Gamers can enjoy incredible precision and reaction speed when playing adventurous games. Players also have the option of using iPhone, iPad, Mac and Apple TV. Playing iOS games can’t be easier than ever! Inspired by science fiction movies, comes painted on GameSir M2: Iron Red Metallic and Spark Blue Metallic blue on the surface with an ever-so-dynamic fashion. Imaging that you are able to control the acceleration in a linear way at will in a car racing game. GameSir M2 features the brand new control mechanic. The improved shoulder triggers come with 256-levels of pressure sensitivity, which provides incredible precision, accuracy and reaction control for gaming, especially for e-sports: racing, shooting, and fighting games, so make it possible to feather the accelerator by half-pressing the trigger! Besides the buttons, there are some metrics that GameSir always focuses. GameSir M2 has inherited the comfortable ergonomic design as previous models to prevent players from hand fatigues. There is the big and convex rubber handle along the edges of the handle for additional grip. Patent obtained LED crystal AXYB buttons provide you extra immersion and fancy at night. Moreover, the built-in bracket holder for smartphone let players attach their phone securely. Hassle-free experience to play the game. 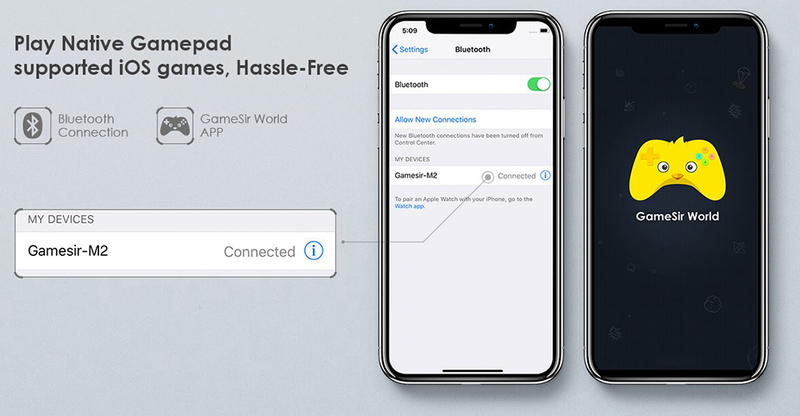 Simply use GameSir M2 to connect to your iOS devices via Bluetooth, without additional settings, you are free to control your favorite game right away! Download GameSir World (iOS version) and browse a thousand of Apple gamepad supported the mobile game! ช้อปครบ 499.- ส่งเร็ว 3 ชม.